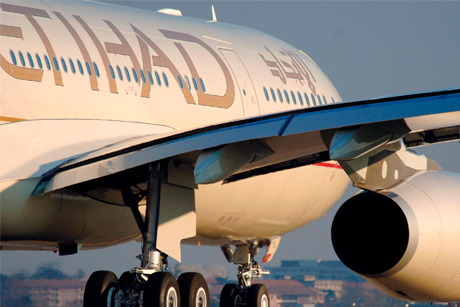 Four Communications has lost its flagship corporate and consumer account with Etihad Airways. The United Arab Emirates flag-carrier has terminated Four's contract as its retained UK agency, though the agency will continue to work on the global corporate brief from its office in Abu Dhabi. Several agency sources suggested that the airline was lining up Bell Pottinger Private to take on the account, but a spokesman for the Abu Dhabi-based airline insisted that no agency had been appointed. The news is understood to be linked to the departure of Four's MD of corporate PR, Iain Burns, who had his contract terminated by the agency in September. Burns, who was formerly vice-president of corporate comms at Etihad Airways, is believed to have held talks with other agencies in the UK, believed to include Bell Pottinger. Burns, who is understood to be subject to Four's contract restrictions for six months, did not return calls. Burns was senior consultant at Bell Pottinger Sans Frontieres before joining Four at the beginning of the year. Bell Pottinger formerly handled rival Middle East airline Emirates, but all work has now left the agency. The PR account switched to Fleishman-Hillard in August, while lobbying moved to Insight Public Affairs this month. Nan Williams, Four Communications Group chief executive, said: 'Sadly, Four Communications' five-year relationship with Etihad Airways in the UK is coming to an end.